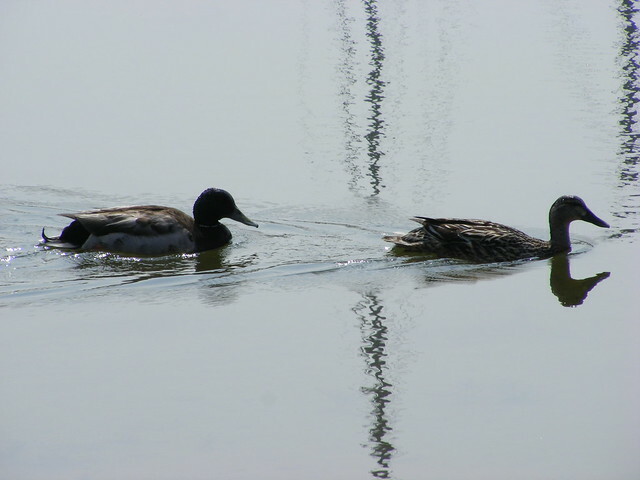 A sign of spring - mating ducks. Nice. Thank you. It really is very spring-like this week - after a return to winter for the last 2 weeks. Thank you. Yes - it was such a nice calm day. I rather liked the 'almost black and white' of it, too. Yay, this is "two" in perfection! Two birds, one with two heads, two reflection of the pole, both sets separating the image in twos vertically and horizontally... :oD Great job! Thank you - I must admit I was really rather pleased with this one.